Happy Sunday Friends!!! 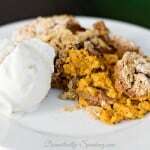 Fall is all about Pumpkin and today I’ve got an easy Pumpkin Spice Cake Recipe that is made in the crockpot. This cake is super moist… almost like a bread pudding. It’s full of pumpkin flavor and perfect for fall. It’s delicious with some vanilla bean ice cream or whip cream. 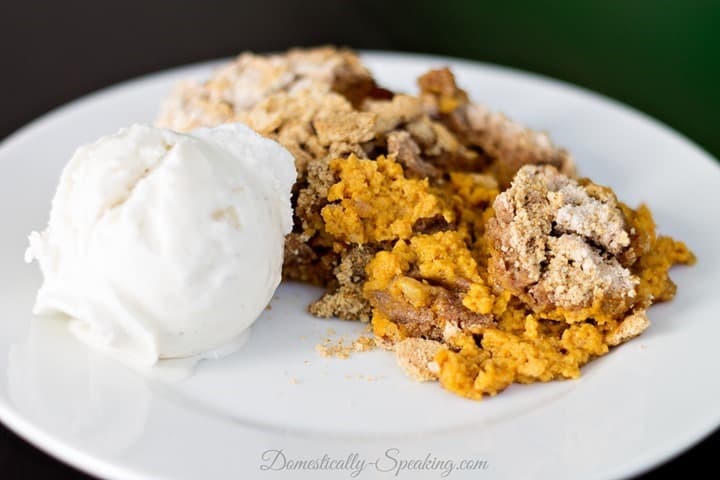 Easy to make, this Crockpot Pumpkin Spice Dump Cake is really that simple, just dump in the ingredients and let the crockpot do it's thing. Melt your butter. Add canned pumpkin, evaporated milk, eggs and brown sugar. Mix till combined. Spray inside of the crockpot with oil. Pour the pumpkin mixture into the crockpot. Sprinkle the cake mix on top of the pumpkin mixture and then the graham crackers on top. Cook in crockpot for 2 1/2 hours on high or 4 hours on low. 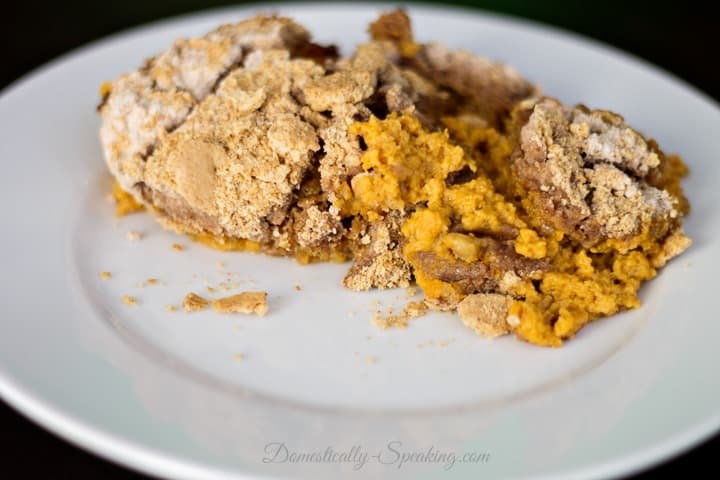 I hope you enjoy this Pumpkin Spice Dump Cake too! « The Home Depot Holiday DIY Workshop… Come Join Us! Wow, this looks great! Thanks for sharing with the Delicious Dishes Recipe party! The directions say to cook on high for 2 1/2 hours and low for 4 hours. Is that correct? I am thinking it is either one or the other? ?